When would you like to stay at DoubleTree By Hilton Istanbul - Moda - Check Availability & Room Rates!!! 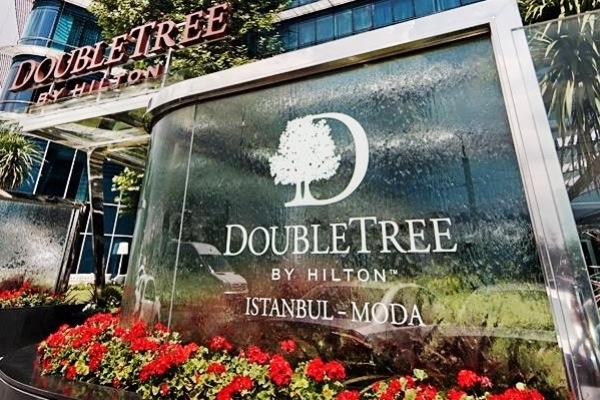 To explore the Asia Side, Double Tree By Hilton Hotel Istanbul-Moda is one of the best hotels where to stay. The hotel has an Outdoor pool too and if you come for business only, you will have the change to relax at the pool and the Spa Centre. From the hotel you can walk 5 Minutes to the Ferry and in 30 Minutes you can go to Europe side and visit The Old Part of Istanbul. If you prefer to explore the Asian Side you can easily use the subway transportation. The hotel has two restaurants and here you can enjoy your meals any time you prefer. How far and How long will it take from/to the DoubleTree By Hilton Istanbul Moda from/to International Airports and cruise Ports.